Has your business suffered from a Ransomware attack? but you already have Antivirus and Spam filtering?!?! 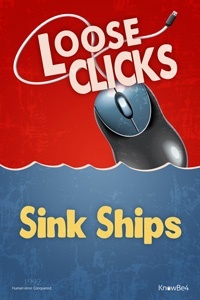 NEWS FLASH Your staff are the weak link in your cybersecurity defenses! Problem Your employees are the weak link in your IT Security. Social engineering is the number one security threat to any organization. The alarming growth in sophisticated cyberattacks makes this problem only worse, as cybercriminals go for the low-hanging fruit: employees. Numerous reports and white papers show U.S. organizations are exposed to massive increases in the number of cyberattacks over the past five years. KnowBe4 is the world’s most popular integrated Security Awareness Training and Simulated Phishing platform with over 8,000 customers. Based on Kevin Mitnick’s 30+ year unique first-hand hacking experience, you now have a platform to better manage the urgent IT security problems of social engineering, spear phishing and ransomware attacks. 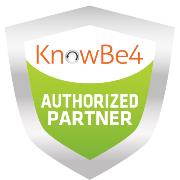 Starting January 2017, KnowBe4 KB4-Authorized-Partner-227provides you with the world's largest library of security awareness training content; including interactive modules, videos, games, posters and newsletters. With world-class, user-friendly new-school Security Awareness Training, KnowBe4 gives you self-service enrollment, and both pre-and post-training phishing security tests that show you the percentage of end-users that are Phish-prone. KnowBe4’s highly effective, frequent, random Phishing Security Tests provide several remedial options in case an employee falls for a simulated phishing attack. Our platform allows you to create a fully mature security awareness program.